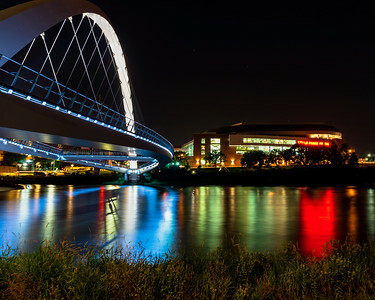 Photos of the city I live in and love. 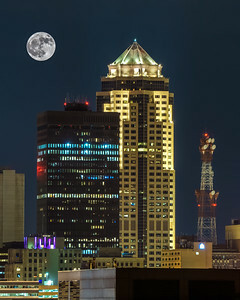 A full moon hovers over the 801 Grand building in downtown Des Moines, Iowa. 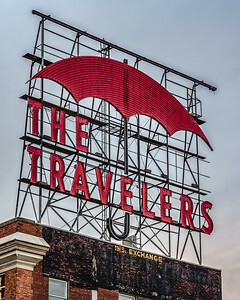 The Travelers is an iconic lighted sign that beams over the Des Moines, Iowa skyline. 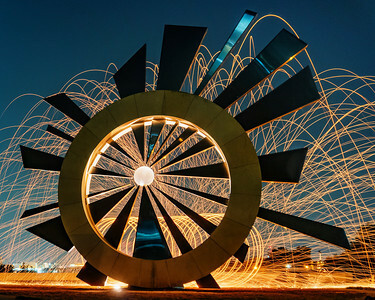 A silhouette image of myself in front of the Christmas tree on display at Brenton Skating Plaza in Des Moines, Iowa. 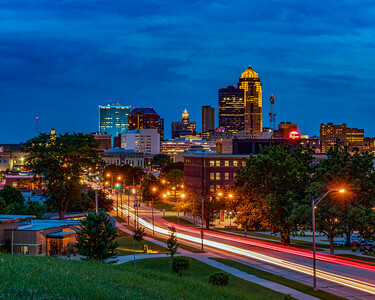 The iconic Des Moines skyline just after sunset. 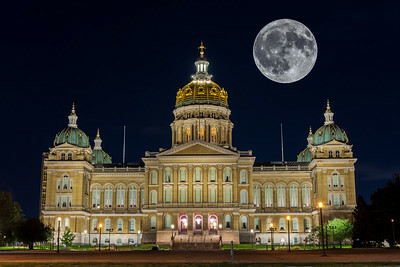 Harvest Moon 2018 over the Iowa State Capitol Building. 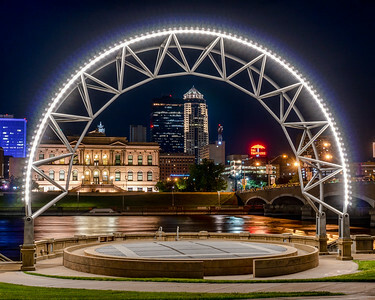 The Des Moines skyline shining at night under the dome of the Simon Estes Amphitheater. 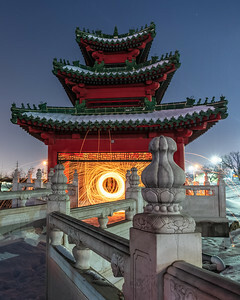 The Shattering Silence Monument with steel wool being spun behind it. 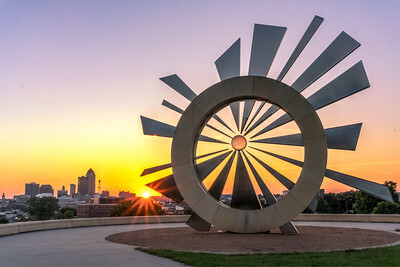 The Shattering Silence sculpture in downtown Des Moines, Iowa, at sunset. 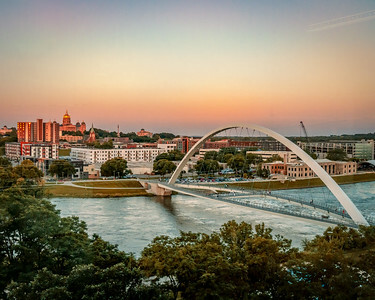 An aerial view of the Women of Achievement Bridge in Des Moines, Iowa overlooking the State Capitol. 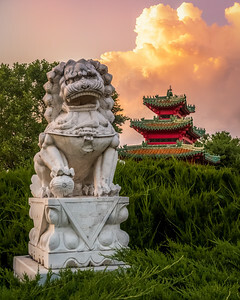 An Asian sculpture sits outside of the Robert D Ray Asian Gardens. 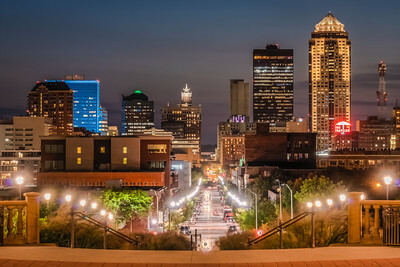 in Des Moines, Iowa. 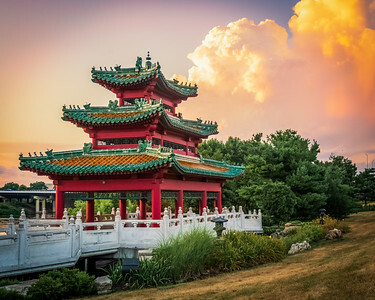 The temple at the Robert D Ray Asian Gardens. 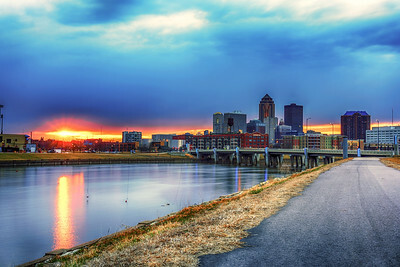 in Des Moines, Iowa. 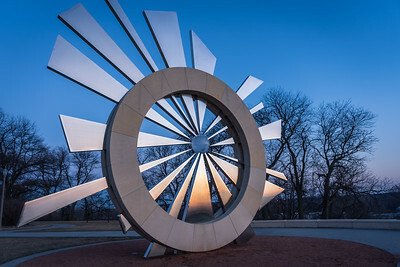 The Shattering Silence sculpture in downtown Des Moines, Iowa. 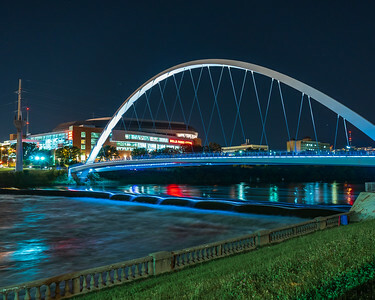 The Women of Achievement Bridge over the Des Moines River, in Des Moines, Iowa. 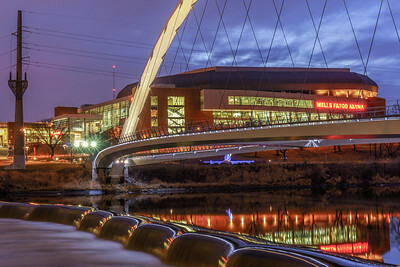 The sun goes down over the 515. 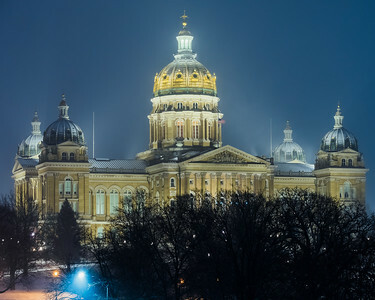 The Iowa State Capitol Building with its dome's freshly coated by the first snow of 2019. 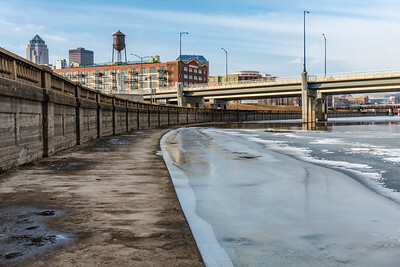 The Des Moines River, frozen and at very low water levels during the winter. 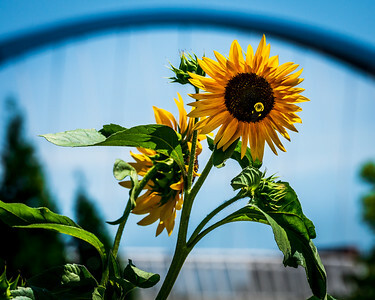 Sunflowers below the I-235 arches. 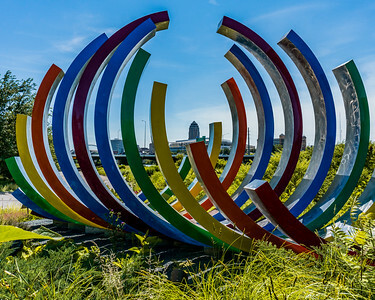 Downtown Des Moines, perfectly framed through a sculpture at the Botanical Gardens. 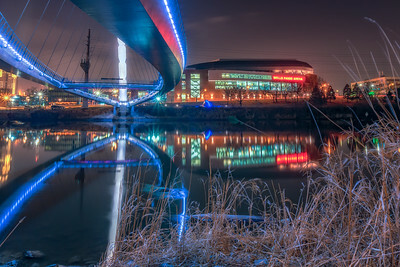 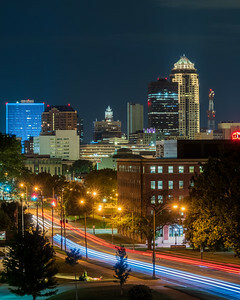 A car's tail lights streak through the frame in this long exposure shot of downtown Des Moines. 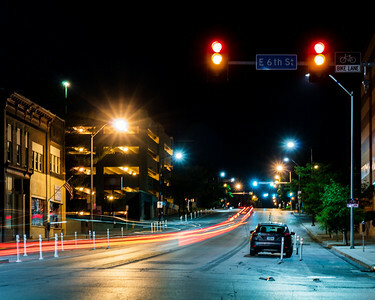 Long exposure light trails of a car's tail lights driving up Grand Avenue in downtown Des Moines, Iowa. 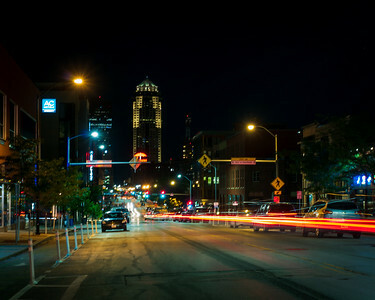 Headlights and tail lights streaking through the Des Moines city streets. 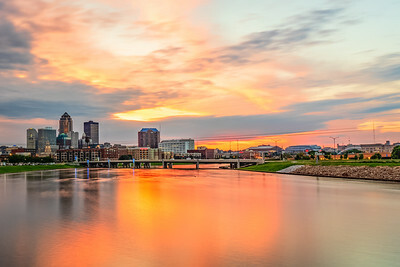 Downtown Des Moines at sunset, shot from the East 1st Street Bridge. 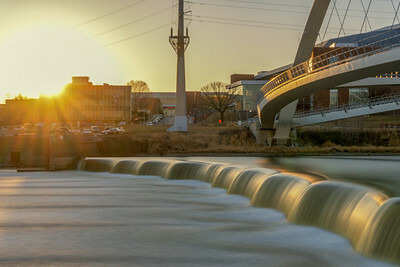 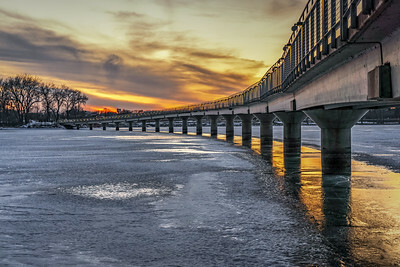 A beautiful sunset by the pedestrian bridge at Gray's Lake in Des Moines, Iowa.